This ready-to-wear collaboration from & Other Stories and House of Hackney isn’t for the faint of heart. There isn’t a single solid-colored piece in the collection, down to the printed mules and scarves. It’s one-part your grandmother’s couch and one-part LSD trip, but with the refined selection of a celebrity astrologist. Each sign has a curated set of pieces that correspond with the personality traits associated with it. Aries gets intense, zebra printed tights. Scorpio features some of the more muted colors but bolder prints. 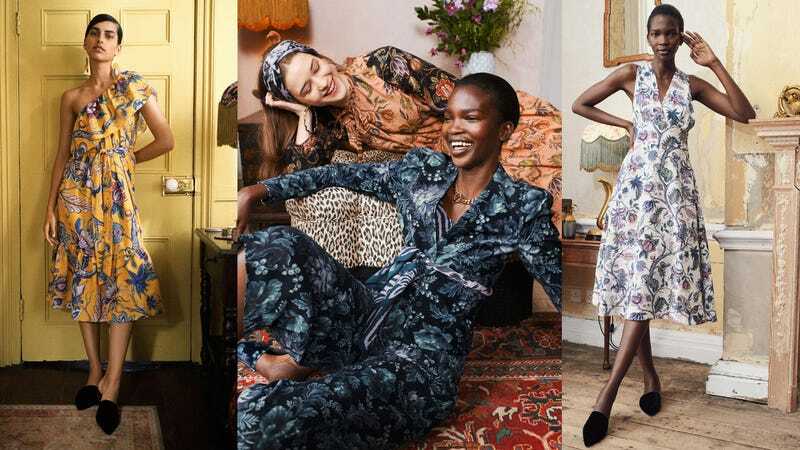 Inspired by Virginia Woolf and the artist and writers collective The Bloomsbury Group, the “co-lab” (as they’re calling it) features a bohemian feel, with mixing prints not only possible, but strongly encouraged. The prints are mostly made up flowers, “inspired by Victorian psychedelia, in particular Victorian paintings that feature flowers that don’t exist in real life.” The only real flower that was recreated in the prints was the poppy, which is know for, you know, it’s *ahem* medicinal properties. House of Hackney was founded by wife-and-husband team Frieda Gormley and Javvy M Royle in 2011, and steamrolled through the British decor scene with their daring prints and ability to take classic English design and make it explode. The whole collection is available in-stores and online right now, so you can start your own clothing acid trip.